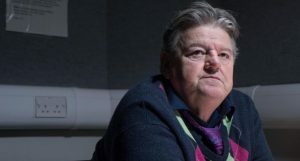 Channel 4 is to air a new 4 part series later this month, which will examine the impact of accusations of historic sexual offences against a fictional, much-loved public figure. 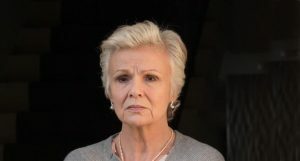 The series stars Robbie Coltrane and Julie Walters and has been produced in association with Screen Yorkshire, supported by the Yorkshire Content Fund. “All of us involved in it are really proud of it. And I think it’s important to deal with these issues in some way and help people understand them. And hopefully to prevent it from happening again. Because you’re really doing it for the victims. A lot of people’s lives have been ruined by this kind of stuff. You have to do it right out of respect for them. The story deals with the “trial by media”. “It’s what the police call fishing. It’s a real dichotomy,” he added. The drama has been written by Jack Thorne and is directed by Marc Munden. Thorne admitted that he was apprehensive about the subject matter at the start, but felt the story needed to get out there. “There was only one challenge and it was the challenge that I felt overwhelmingly from the very beginning - which is that a lot of people have been damaged by this,” he said. The cast also includes Andrea Riseborough and Tim McInnerny. “A lot of this show is about silence and the way that people's eyes are looking as they are talking. When you write a script you hope that people will give it life beyond the script,” continued Thorne. The drama was filmed in Yorkshire.